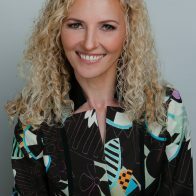 Marketing and leadership keynote speaker and branding/sales expert, Dr. Carmen Simon, researches and teaches cognitive neuroscience at Stanford University to bring the most cutting-edge findings to her Silicon Valley startup, Memzy. As the founder of Memzy, she helps corporations use brain science to create memorable messages that influence customers’ decisions. Her most recent book, Impossible to Ignore: Creating Memorable Content to Influence Decisions, has been promoted on several book lists as one of the top international books on persuasion. In the book, Carmen explains how you and your company can use memory hacking tricks to market better, tell a significant story, and make sure your brand is remembered by your consumers. Carmen has two doctorate degrees, one in instructional technology and another in cognitive psychology, and is a recognized expert in applying neuroscience to leadership, communication design, and customer engagement. Her sought-after keynote speeches unveil science-based techniques for getting others to see your way, remember your way, and go your way. Carmen offers strategies for transforming yourself and your message into something worth noticing and remembering. To help us understand how people pay attention, remember content, and ultimately act on it, we look at the field of neuroscience, which reveals insights on how the brain processes information and tends to remember it – or, more often – forget it. What does it really take for the brain to be engaged? This keynote offers four evidence-based, practical guidelines, which you can use immediately to create meaningful engagement for your internal and external audiences. To become true leaders and influence others’ action, we must ask: what makes a memorable story? And what is the optimal amount of narrative we can use when we speak about technical or scientific content? 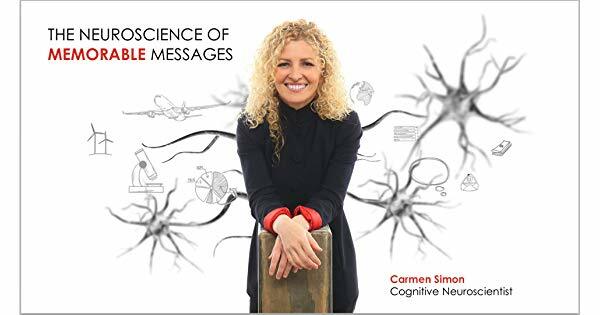 Carmen shares the latest brain science research on storytelling and how to best apply it to your own leadership style to inspire and influence others. The most successful business professionals are the ones people remember. Join this session to hear a cognitive neuroscientist’s view on how you can create communication at the corner of humorous and memorable. You will learn practical guidelines and reconsider preconceived notions about using humor in business communication and interactions. Join this keynote to discover strategies for transforming your message into something worth noticing and remembering. To help us understand how customers pay attention, remember messages, and ultimately act on them, we look at the field of neuroscience, which reveals insights on how the brain processes information and tends to remember it – or more often – forget it. Could a Robot Replace You? We can look at the “human vs. machine” as a symbiotic process: The computer and the human need each other to make each other better. Unfortunately, when we rely too much on automation, the computer seems to take over. Automation may free us from that which makes us free. Carmen looks at ways to balance the human and the machine and create better engagement with your customers.